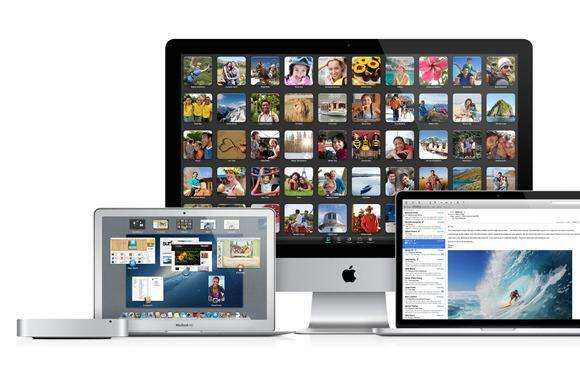 What if Apple is actually phasing out the pro-level Mac? As the days between updates pile up, people are starting to wonder whether Apple cares about the Mac at all. As if the 80 or so minutes he spent showing off the iPhone weren’t enough, Steve Jobs concluded his 2007 Macworld Expo keynote in San Francisco with one final bombshell unveiling. It wasn’t a piece of hardware or an OS update, but it was just as significant: As he was summing up Apple’s increasingly diverse product line, Jobs announced a change that signaled a new direction for the company, one perhaps even more telling than the revolutionary mobile phone unveiled moments earlier. “The Mac, iPod, Apple TV, and iPhone. Only one of those is a computer. So we’re changing the name,” said Jobs. Apple Computer became Apple Inc. And thus began the post-PC revolution, a conscious cultural shift that demoted the Mac to a device and gradually pushed it into the background. Over the years since, Apple’s innovations have been largely relegated to the mobile space, only appearing on the Mac after they’ve emerged as established, dependent technologies. It’s not just that Apple is more than a computer company anymore. The Mac is comprising consistently smaller streets on Apple’s roadmap, and you’d have to go back several years to find an event that gave it top billing. As the days between updates pile up, in fact, people are starting to wonder whether Apple cares about the Mac at all. It’s a valid concern. In the first six months of 2016 we’ve seen new models of both the iPhone and iPad Pro, but the lone Mac to get any love is the newest member of the family. In April, the year-old MacBook received the kind of update MacBook Pro users have been waiting some 14 months for, with improved specs across the board: Speedier Skylake processors and graphics, an extra hour of battery life, faster SSD drives, and a new Rose Gold color option. The only Mac that’s seen any love recently is Apple’s newest and shinest. It’s worse on the desktop. While the iMac was refreshed in October 2015 to bring more pixels and processing power, the lowly Mac mini hasn’t had an upgrade since October 2014. And the Mac Pro has never been updated. The models on sale today have the exact same specs as the very first ones that rolled off the Texas assembly line back in December 2013. And if you’re looking for a display to go with it, good luck finding one made by Apple. No one knows for sure what Apple’s long-term plans are for the Mac, but it’s pretty clear that there isn’t a whole lot of attention being devoted to its longest running product. There have been droughts before, but never one that has affected so many models at once. These days the once mighty professional Mac is more flagging than flagship, and while there are some rumors that point to a MacBook Pro redesign for the fall, the post-PC revolution is showing no signs of relenting. More and more, the decision to buy a Mac is based more on form factor than functionality, and Apple is rapidly working to close that gap. When the iPad Pro was introduced in 2015, it marked a major maturation for Apple’s tablet. While the larger screen changed little about the general concept, the addition of the Smart Keyboard and Apple Pencil shone a new light on its productivity potential. Specifically aimed at creative professionals, the iPad Pro was the evolutionary change the post-PC device needed to continue its revolutionary assault. And just like that, the Mac became superfluous for millions of people. It has less to do with its pixels and drawing capabilities than it does its perception. The iPad was in something of a rut before the Pro model arrived, but the Smart Connector and Apple Pencil opens it up to an array of features and apps beyond the relatively simple capabilities of a multi-touch tablet. And if the rumored iPhone Pro picks up the Smart Connector too, our iOS devices will be able comfortably mimic the ways most people use their Macs—web surfing, messaging, writing, maybe some light photo editing—further blurring the line between them. It’s the same with the new MacBook. While it might not be as powerful or expandable as the Pro, it hits most of the notes people want to hear when shopping for a new PC—namely, thin and light, with a Retina screen. The reason why Apple can get away with letting its professional Macs languish is because the pool of people who need them is getting smaller. For most people, the MacBook fills all of their PC needs, and as Jobs liked to say, Apple skates to where the puck is going, not where it has been. Call it cannibalization if you must, but in many ways, the iPad Pro is the touch-screen personification of the MacBook. It can’t do quite as much as a Mac, but for most people its good looks and portability benefits more than make up for its shortcomings. The more people are willing to sacrifice power and productivity for thin and light designs, the less attention Apple is going to pay to the Mac. The thing about trucks is that despite how important they are to our daily lives, most of the ones we see on the road are old and ugly. There are definite tasks that people need pro Macs for—coding, advanced Photoshop work, integrated workflow systems—but as the iPad (and iPhone) Pro evolves and matures, it won’t be long before it can handle more of those tasks too. And the gap between high-end Mac updates will become greater until Apple stops releasing new models altogether. 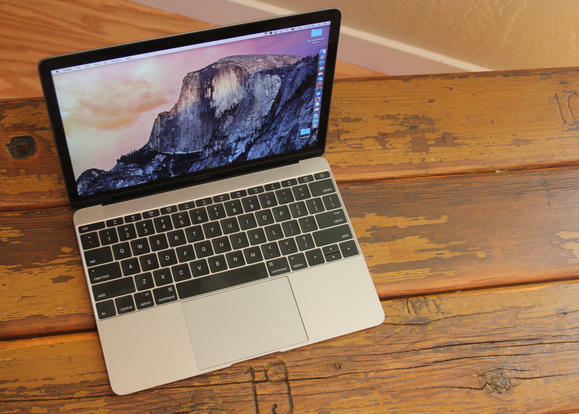 The post-PC revolution isn’t about building an iOS device that’s equivalent to the Mac. It’s about changing our habits and reaching a point where the power and expandability of the Mac isn’t needed anymore. And Apple might get there a whole lot quicker than anyone thought.